Each year, development teams are tasked with raising more money from their constituents and to do so effectively, they need to utilize new fundraising ideas. However, coming up with new concepts each year is challenging and takes creativity! Fortunately, we’ve rounded up four fundraising ideas that will help you hit your school’s annual goals. Take note of these ideas and try implementing them into your school’s fundraising calendar. We’ve talked about matching gift challenges before and for good reason: they’re a fundraiser’s dream! In essence, when people donate during a matching gift challenge, for every dollar given by constituents, your school receives two dollars. It’s an incredible way to motivate donors and create a sense of urgency around gift giving. Matching gift challenges do have parameters, including a start and end date and total dollars to be matched. By having a finite time period in which gifts qualify for the challenge, alumni, parents, and other constituents are encouraged to give to double their contributions. What’s more is matching gift challenges are easy to implement. Beyond sending out an email blast or direct mail piece, there is no other cost associated with running a matching gift challenge. 100% of gifts go directly to the fund, which ultimately helps a school meet its fundraising goal more quickly. This is one of the best fundraising ideas for schools as it requires minimal effort and adds a sizable number of donations to fundraising campaigns. St. Francis Xavier School held its own Matching Gift Challenge for a capital project. They successfully achieved their goal and used their website to track contributions with a fundraising thermometer. The webpage also served as an excellent space to update their community and celebrate exceeding their goal. Whenever you can bridge two interests, such as philanthropy and physical activity, people are more inclined to participate. Set up a fun run, such as a 5k, where your constituents can register and a portion of their donation goes to your fundraising initiative. Hosting a fun run makes philanthropy more accessible to people who may think their small donation doesn’t make an impact. By promoting participation in service of meeting your fund’s goal, it shows your donor community that gifts of any size matter. To minimize costs, solicit donations or in-kind gifts to minimize the price of running the event. If you’re handing out t-shirts, water, snacks, or anything else, try to have those donated by local vendors or donors. When events offer goods or services to participants, be sure to note how much of the registration fee is tax-deductible. Include this language in your acknowledgment letter to participants so they understand how much they “donated” to your school as part of the fun run. This will make reconciling the net profit from the event easier and keep your school in compliance with 501(c)3 regulations. When you near the end of the school year, participation challenges are a great means of gathering last-minute donations and boost school support. By stimulating friendly competition or school spirit, you can close the gap in your fundraising efforts. Much like a matching gift challenge, participation challenges are budget-friendly and can really move the needle when it comes to meeting fundraising goals. Email blasts, fundraising thermometers on the school’s website, social media campaigns, and a direct mail postcard are easy ways of spreading the word about the participation challenge and yielding gifts. Participation challenges are particularly effective toward the end of a school’s fiscal year as parents and alumni understand that they have a limited period of time to make their gifts. Events offer a unique way for schools to fundraise, and auctions and galas are tried-and-true ways to raise a lot of money in one evening. Galas and auctions provide members of your community a way to participate and spread their philanthropic wings in a less traditional way. Galas and auctions often have themes associated with them, such as The Great Gatsby or Casino Royale, which entices people who may not typically be philanthropic. A good theme and a strong auction encourage people to buy tickets and place bids. It makes philanthropy fun and because auction items are donated, the school receives a large percentage of the auction profits. To be compliant with donation guidelines, acknowledgment letters must indicate how much of the ticket price is tax-deductible as well as each auction item. This requires a bit more time from your development staff, but in the long run, if your school raises $50,000 in one evening, that’s a huge success and worth the effort. 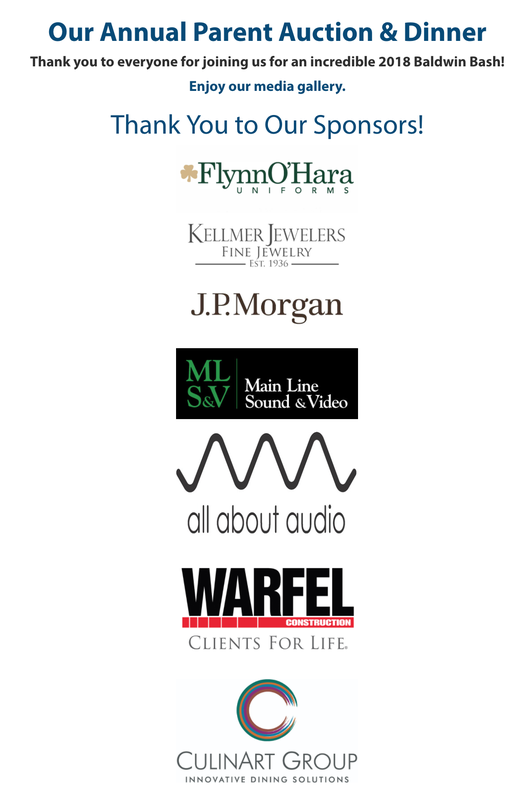 Another way to offset the cost of hosting a gala is through sponsorships. Offering tiered-sponsorship opportunities, such as Bronze, Silver, and Gold, allows constituents to contribute in a meaningful way while participating in the event, as tickets are built into the price of sponsorships. When it comes to putting on a fundraising event, however a school can minimize costs, the better. The Baldwin School secured numerous sponsorships for its 2018 Baldwin Bash, the school’s annual parent auction and dinner. These sponsorships undoubtedly reduced the school’s event charges and added to the fundraiser’s net profit. Keep in mind that galas and auctions are time-consuming, but they can garner donations from people who have never given before as well as drum up excitement around fundraising. No matter where your school is in its development efforts, trying new fundraising ideas is always a good idea. These fundraising ideas are not just about hitting your goals, but are also about discovering ways to engage your constituents. By implementing different fundraising tactics, you’re likely to uncover a host of donors you never realized or whom never responded to your fundraising efforts before. By connecting with donors in ways that matter to them - whether it is through participation challenges or a fun run - your school can forge long-term relationships and donations from these untapped resources. Julie is a freelance writer and marketing consultant. Before becoming a full-time writer, she spent nearly ten years fundraising for non-profits and private schools, where she focused on alumni annual giving. She loves sharing her insights and helping schools improve their development efforts in service of fulfilling their missions of improving each child’s life. 2019 BoostMySchool. All Rights Reserved.